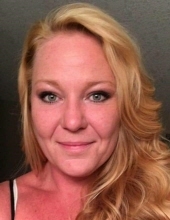 Tamara Jo Brown, 42, of Peoria passed away Sunday, March 24, 2019 at her residence. She was born July 9, 1976 in Peoria to Rodney and Kim Kinder Baker. She is survived by her children, Joshua (Caitlyn Nievar) Ewing, C.J. (Geneva Saunders) Brown, Trinitty (Paul) Zacharis, Lacy Brown; grandchild, Kinsley Connor-Brown, parents, Rodney (Cheryl) Baker, Kim Kinder; siblings, Andy Baker, Greg Baker, Jennifer Kinder and aunts, Theresa Miller, Donna Baker and Sami Baker. Her grandmother, Judith Stahl; grandfather, Richard Baker and sister, Amanda Nealey preceded her in death. Tamara was a loving and devoted mother. She loved her cats and was a creative, hardworking lady. Tamara was a cherished friend to many. She was humble, nonjudgmental and had a beautiful soul but could be very ornery. She worked at the Creve Coeur Club. Cremation has been accorded and a memorial service will be held on Saturday, March 30, 2019 at 3 p.m. at the Chillicothe Bible Church. Memorials may be made at Associated Bank in her name. To send flowers or a remembrance gift to the family of Tamara Jo Brown, please visit our Tribute Store. "Email Address" would like to share the life celebration of Tamara Jo Brown. Click on the "link" to go to share a favorite memory or leave a condolence message for the family.